Karan Wethington has been a Realtor for 19 years. She is a Realtor with Keller Williams Realty in Burleson. Prior to becoming a Realtor, she spent fourteen years in the Banking field. In 1998, her first year of real estate sales, she won “Rookie of the Year” with sales in excess of $2.4 million. The following year, 1999, she won “Top Producer”. Since her rookie year she has been consistently one of the top producing agents in the Burleson area. In 2003 she was elected as “Realtor of the Year” by her peers. Karan, a native of Joshua, has lived in Burleson since 1982. She has three daughters: Tiffany, Tara and Taylor all residing in Burleson. Karan is currently a member of the Texas Association of Realtors, Greater Fort Worth Board of Realtors, Athena Society of Burleson, Burleson Area Chamber of Commerce, and Cleburne Chamber of Commerce. 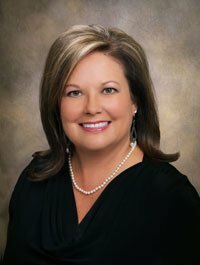 She is a past President of the Johnson County American Heart Association, Past Chairman of the Burleson Chamber of Commerce, and past Board Member of the Johnson County Children’s Advocacy Center, Meals on Wheels, and past Trustee on the Board of the Making It Happen Foundation of the Burleson Chamber of Commerce.